Surely you recognize this very special cat, Lil BUB! Did you know she eats Halo cat food? As pet parents, we want to provide the very best for our furriest family. Of course, that includes providing them with meals that not only fill their adorable tummies, but deliver the holistic, whole, and humanely raised nutrition our pets deserve. 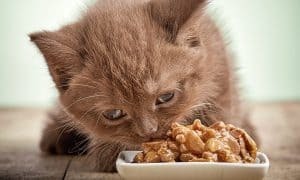 Choosing the right food for your cat can be a daunting task. 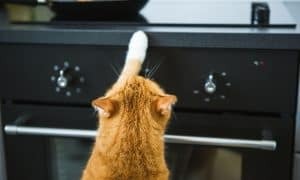 Many of us have found ourselves overwhelmed standing in the pet food aisle, staring down a long line of bags, boxes, and cans, all promising to provide the very best and complete nutrition for our pets. You see, what you feed your cat matters and Halo knows that WHOLE meat makes a WHOLE lot of difference in the end. 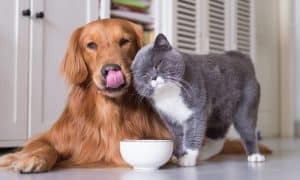 Producing pet food with real whole meat (without the use of “meat meals” like rendered chicken meal or fish meal) is more expensive and that’s why most pet food brands choose not to do so, opting instead for cheaper ingredients. So, what happened after a month of my cats eating Halo cat food? Exactly what they said would happen! There was a noticable reduction in the amount of waste I had to scoop. But the other thing that surprised me most? I didn’t have to clean up a single pile of cat puke. I had come to accept that cats just vomit from time to time, but it never (never!) happened while they were eating Halo! I’m a believer. Now, Halo’s mission has always been “to change the way companion animals are fed and farm animals are raised…for the better.” To support this mission, every time you purchase Halo, a bowl of Halo is donated to a shelter pet in need. The company’s commitment to philanthropy is one of the things that has always drawn us to them. Are you ready to try Halo with your own cat? Halo and The Catington Post are giving away Halo Cat Food and Treat Prize Packs valued at over $100 each to two lucky winners! Learn more about Halo and their recipes made with real WHOLE meat to deliver the nutrition our cats deserve at halopets.com! Editor’s Note: This post is sponsored by Halo®, who provided compensation for our honest review. However, the opinions are 100% ours! We never recommend a product we aren’t confident using with our own furry family. I have never tried Halo because they don’t sell it up here where I live. I have quite a few cats that I have rescued and I would love to try some.